today. before dawn. 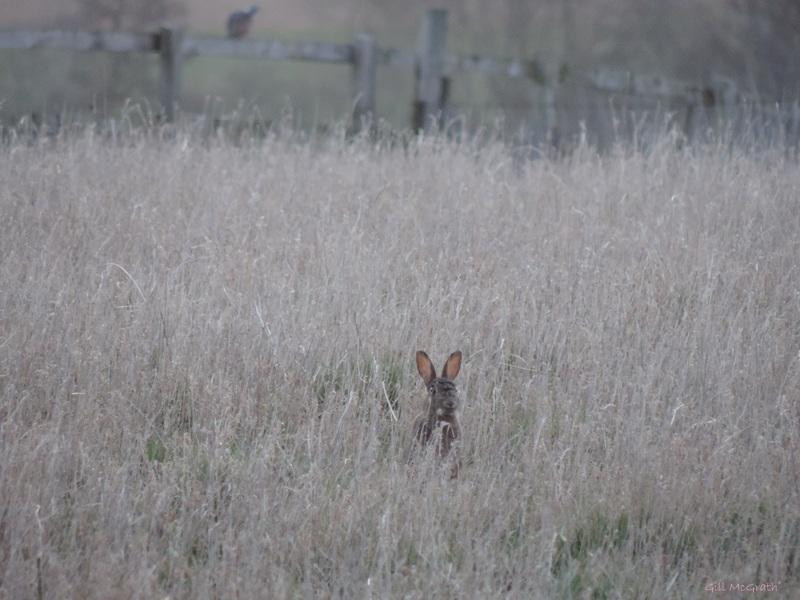 a bunny and a bird in the field…. 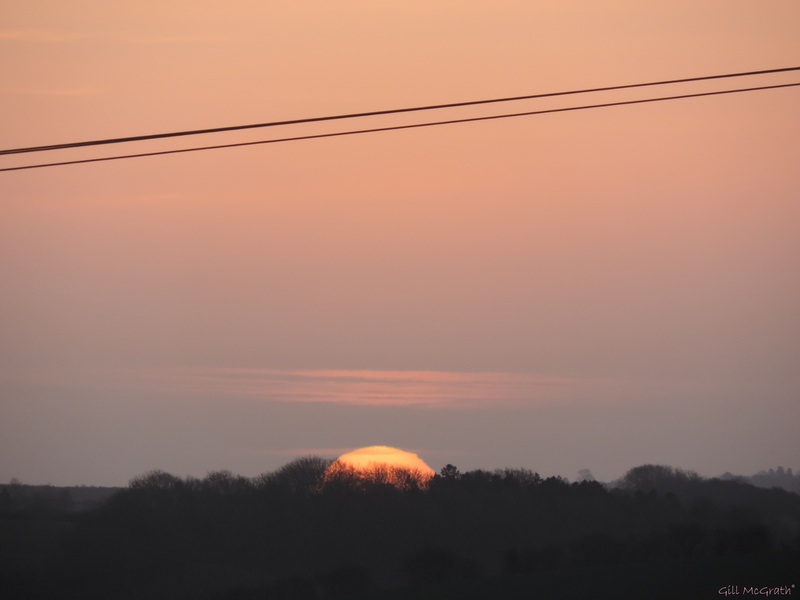 and sat on the wires…. 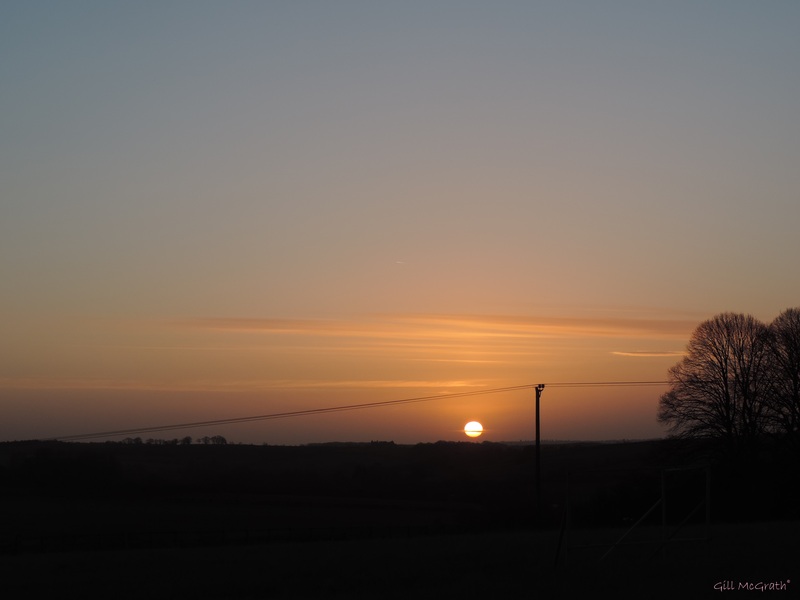 I believe you go out and walk – I have this strange habit of taking pictures from my window at the very start of the day. 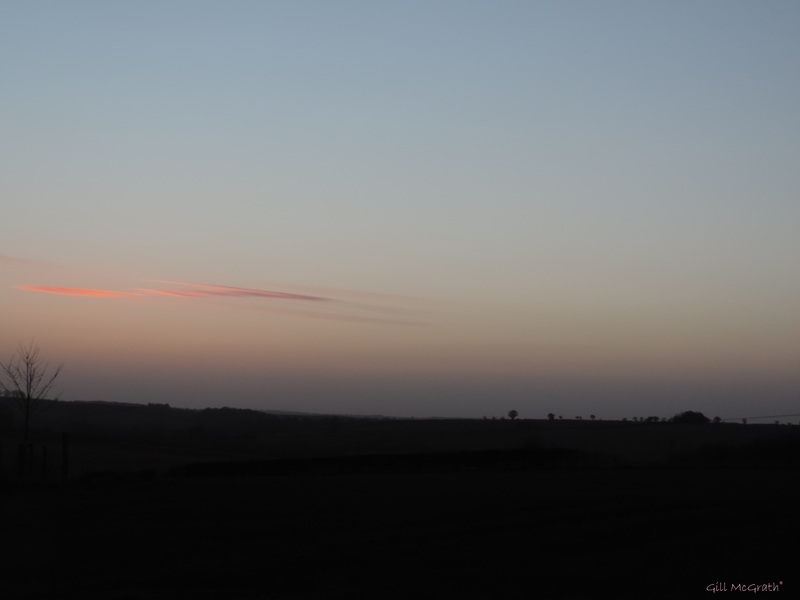 I get to see some beautiful colours – a walk is not included – I suppose I would feel a lot better iif I did it. I live right by fields looking over a valley and walk along the top if it isn’t overly cold windy etc although the frosts can look breathtaking and are worth wrapping up to go see. It is high enough here for a lot of air and light changes. One day I realized that anyone the horizon opposite (at the same level) must see us over here in the same light ( pink yellow etc!) The same patches of the landscape can look so different from one minutes end to the next so the whole color circle range shows up over time, and I don’t have go far at all to catch it Sometimes its straight out the window……!!! First one I have seen this year. Must be Easter! Great shots! You must be fast to catch that little bunny without scampering away! The last pic is fabulous! We have a few bunnies here .. Sadly! They are regarded as pests. They are so cute though. Ahh. 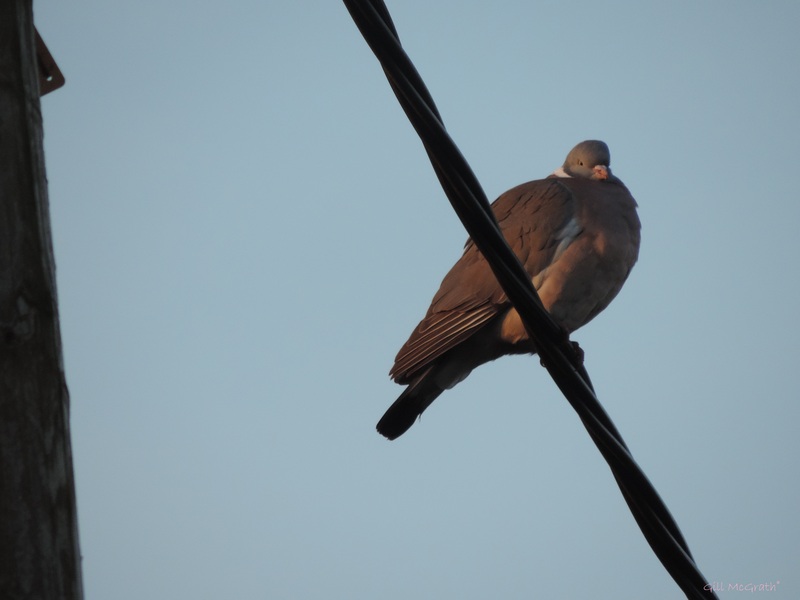 The pigeon on the wire. But I think your bunny is a hare. 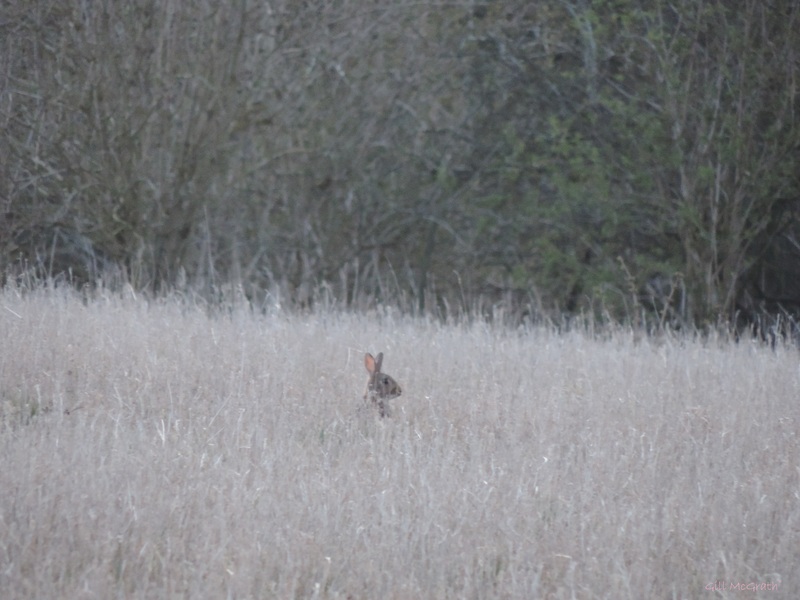 I love hares more than rabbits ‘cos they are so much gutsier. yes. i had another look and enlarged it. There they were. It was the first I had seen this year!